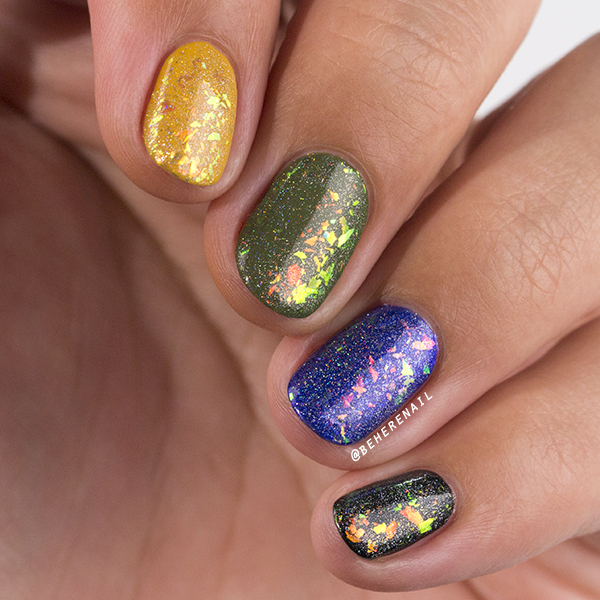 I have swatches of two incredible polishes to share with you all today from Beautometry! They've been one of my favorite stockists since I first started polishing and my go to for hard to find favorites like Femme Fatale and Hit the Bottle. 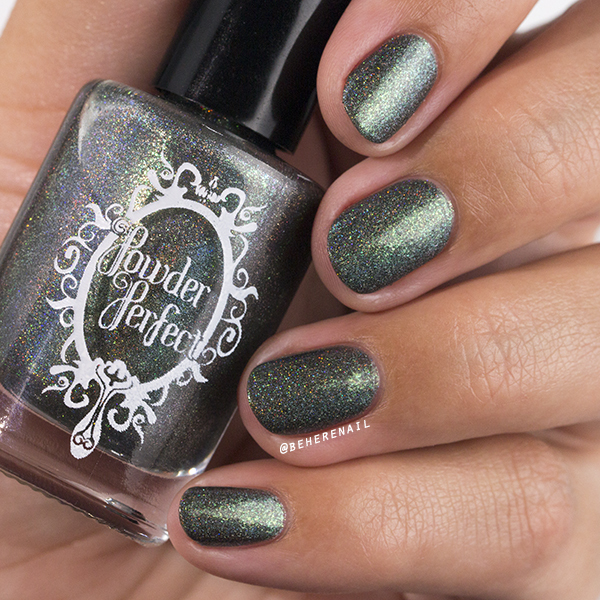 Right now though, I am dying to show you this amazing shade of green by Powder Perfect that was love at first coat! 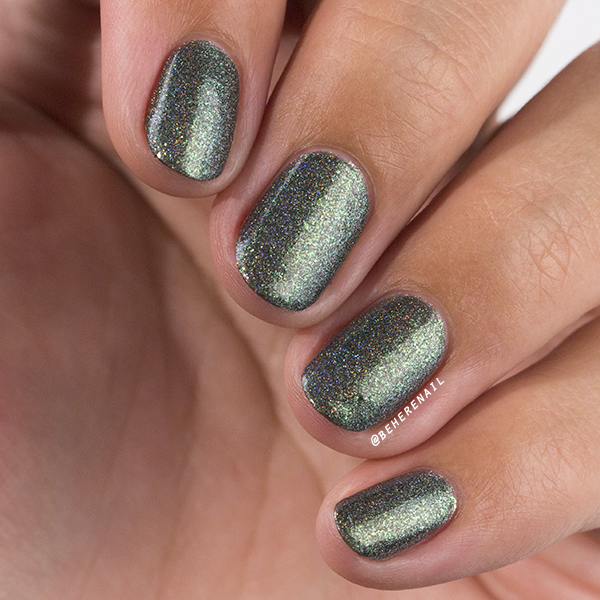 Borders of the Forest is an ethereal hunter green with blue, gold/green flecks, and linear holo throughout. You guys, I couldn't take this shade off of my nails! Absolutely magical, my pictures can't do it justice. Not to mention the formula, this is just two thin coats and it was an absolute dream to apply. Next up, my very first F.U.N. 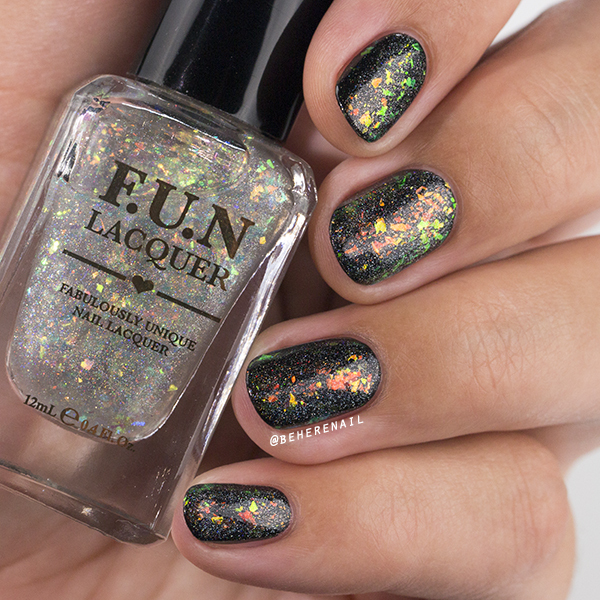 Lacquer! I couldn't be more excited to show you Magnificence (H). 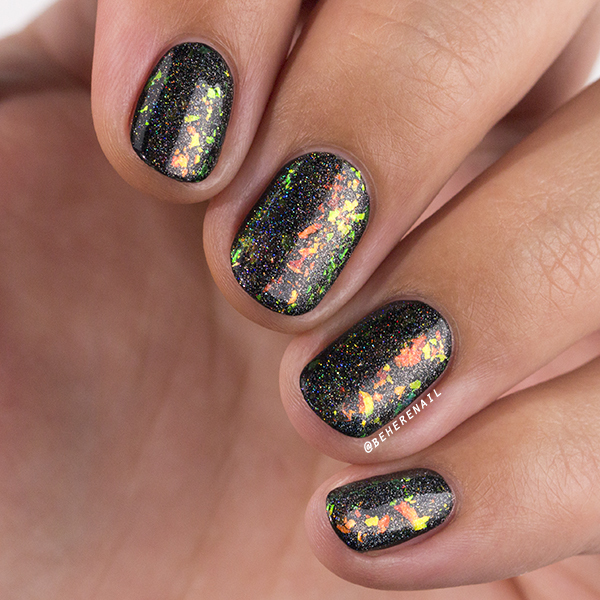 This is an iridescent flakie topper with added holo that looks incredible over any shade. 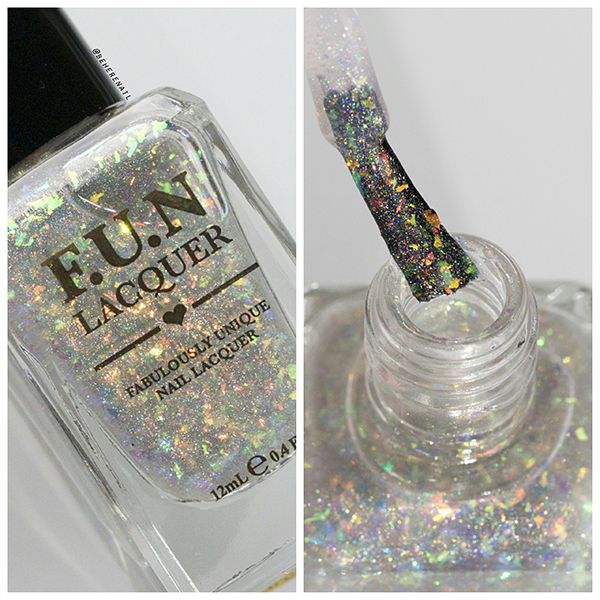 It's like opals in a bottle! 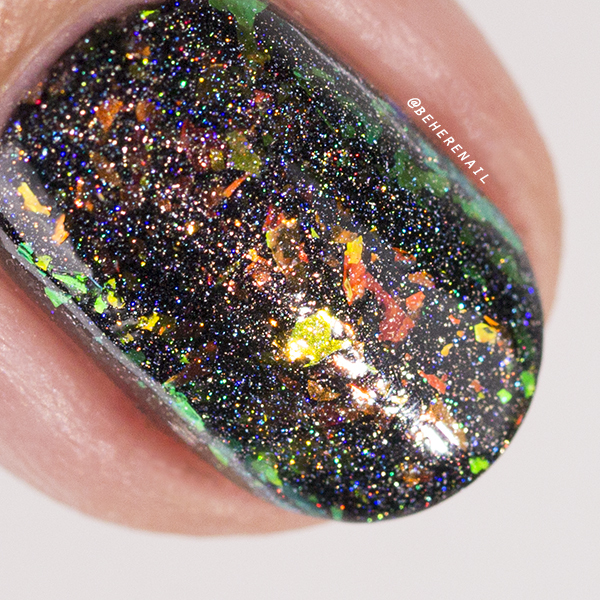 To prove it I've shown it over four different colors, you'll see you can't go wrong with this incredible topper. This is just one coat, and that green, yellow to red shift is just so loud! Don't be surprised when you see some teal or violet here and there, too. 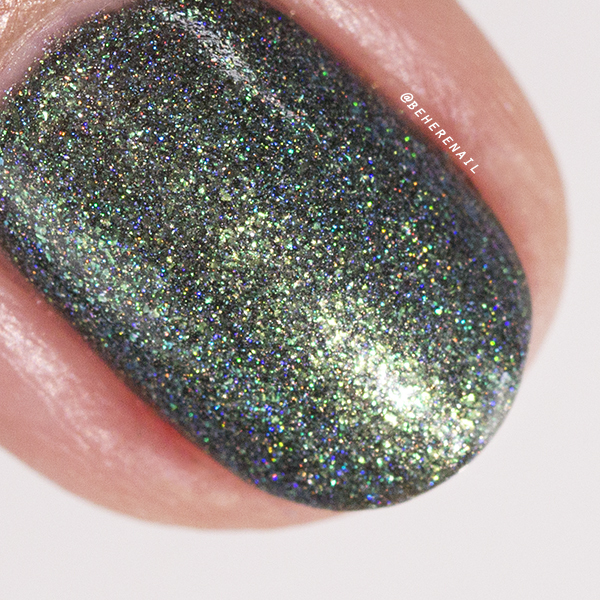 This was another shade I didn't know I needed until I got it in my little polished hands! What do you guys think of these? If you want to give them a try Beautometry is having a week long sale on these and a huge list of other brands, be sure to check them out. 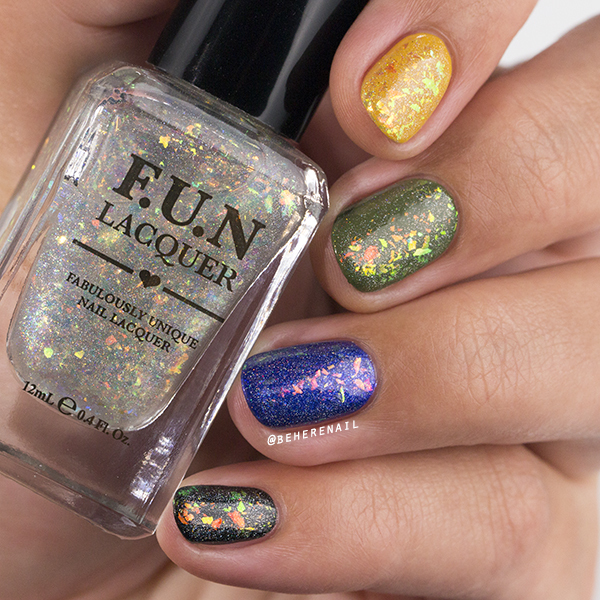 I will be back in no time with nail art featuring these shades and a few other Beautometry goodies! See you soon! The FUN looks like leaves on the ground in fall. So, so beautiful! Totally agree, that's exactly what it looks like! I am so in love with it, I might be jumping on the flakie polish train.